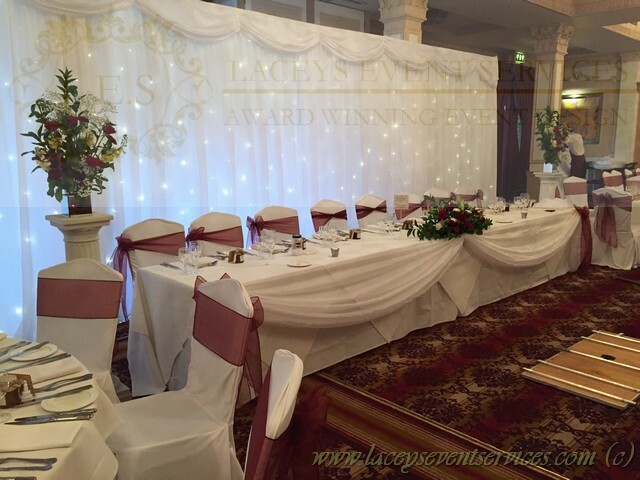 Our starlight backdrop package is designed to transform your wedding reception venue from a plain room into the WOW factor your guests will always remember. 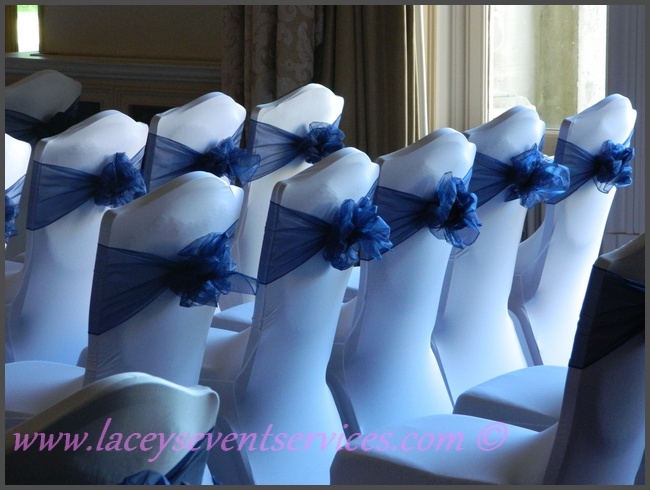 Inclusive of fairy light curtain / starlight backdrop, chair covers, centrepieces and plenty of additional extras. Our wedding packages are designed to be flexible to cater for your individual needs and designs whilst offering you great discounted prices as booking as a complete package. A beautiful 6m wide x 3m high starlight backdrop for behind your top table with detachable top swag. 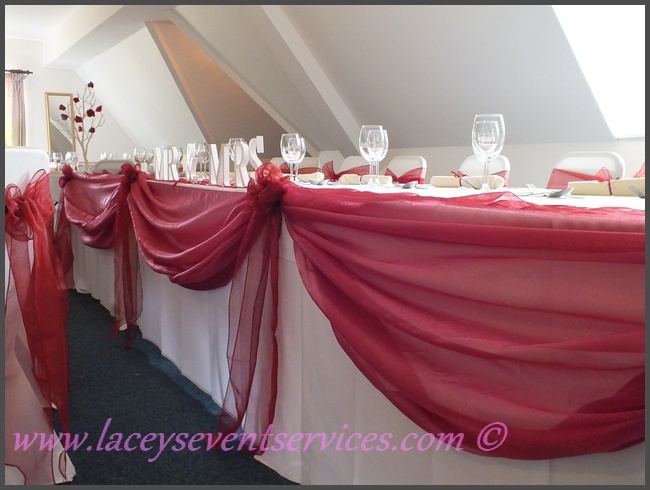 Backdrop is on its own freestanding pole structure so can be made to fit any area 6m or smaller. 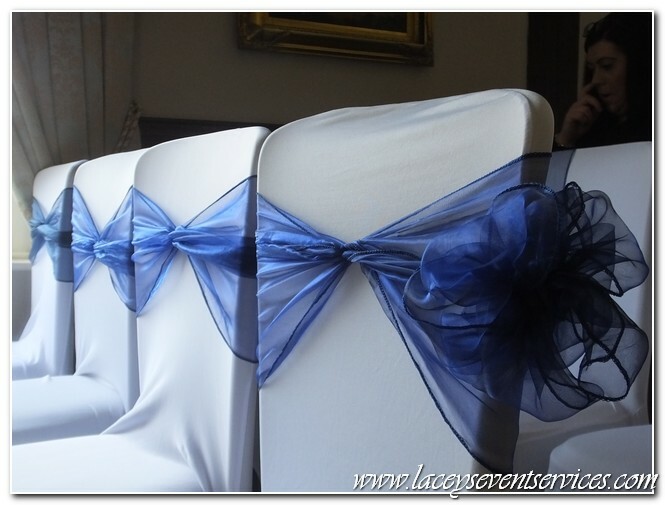 ​Any of our other colours can be included for an additional 40p + VAT (48p) a chair. Artificial Long & Low Flower Spray for your top table. Base display is made with a selection of Green and Variegated foliage and white roses. Options Available: We can add Coloured Flowers to the display to match your chosen wedding theme. 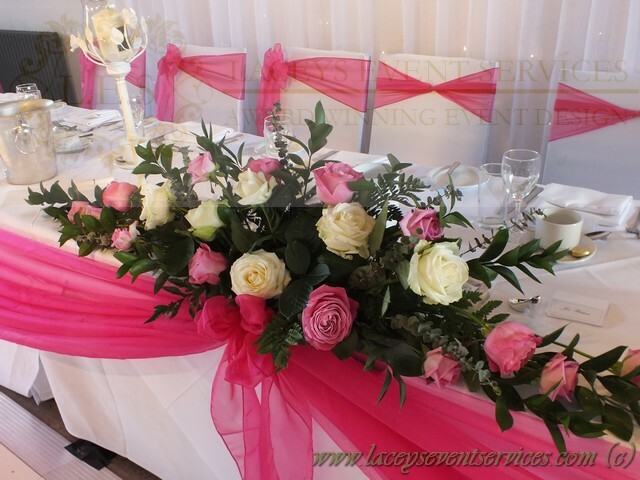 One wedding centrepiece display per gust table from our centrepiece page. 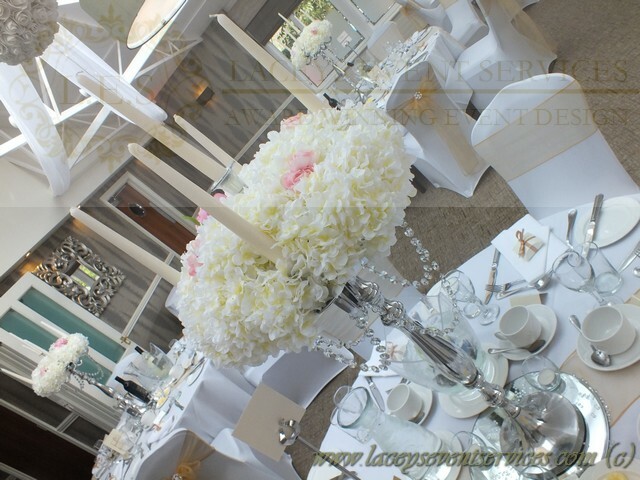 All flowers included are artificial and can be arranged in any colour to suit your theme. ADD LINEN NAPKINS & TABLECLOTHS TO THIS PACKAGE FOR AN ADDITIONAL £1.00 + VAT (£1.20) PER GUEST!